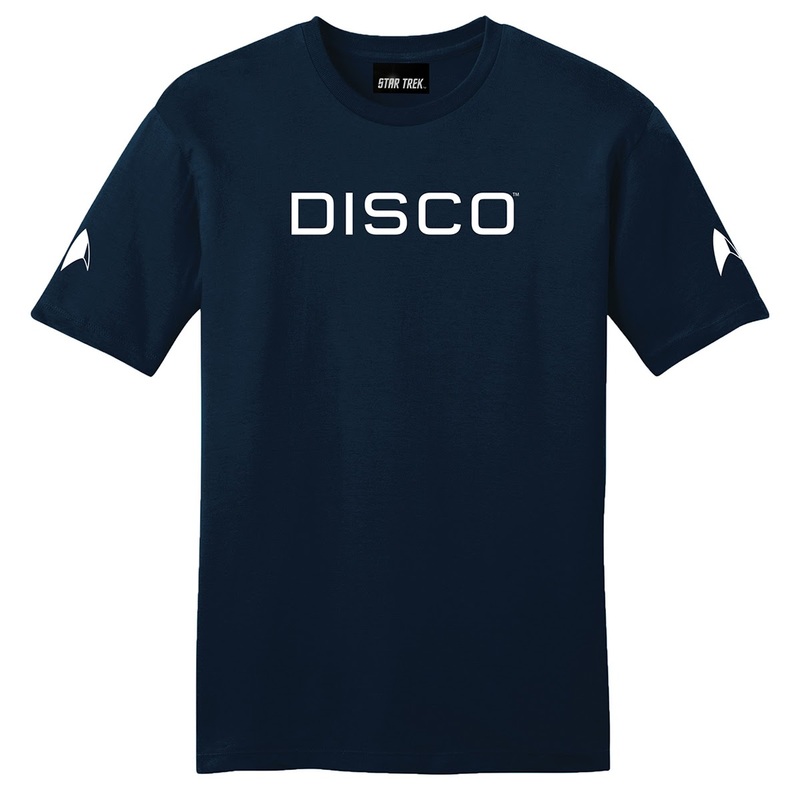 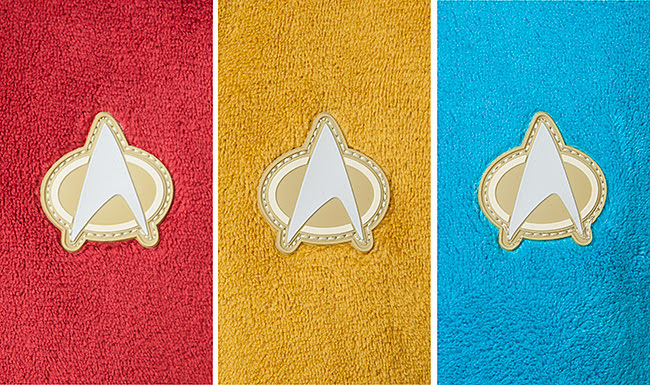 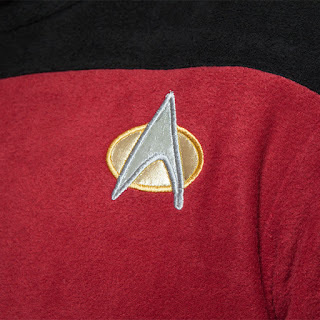 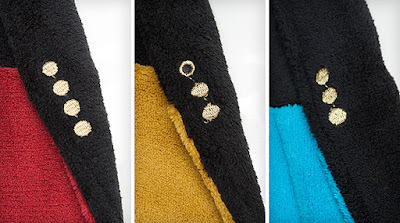 Whether you're going for a run, chilling after your bath, or commanding a starship, there are new Star Trek clothing options just waiting for you. 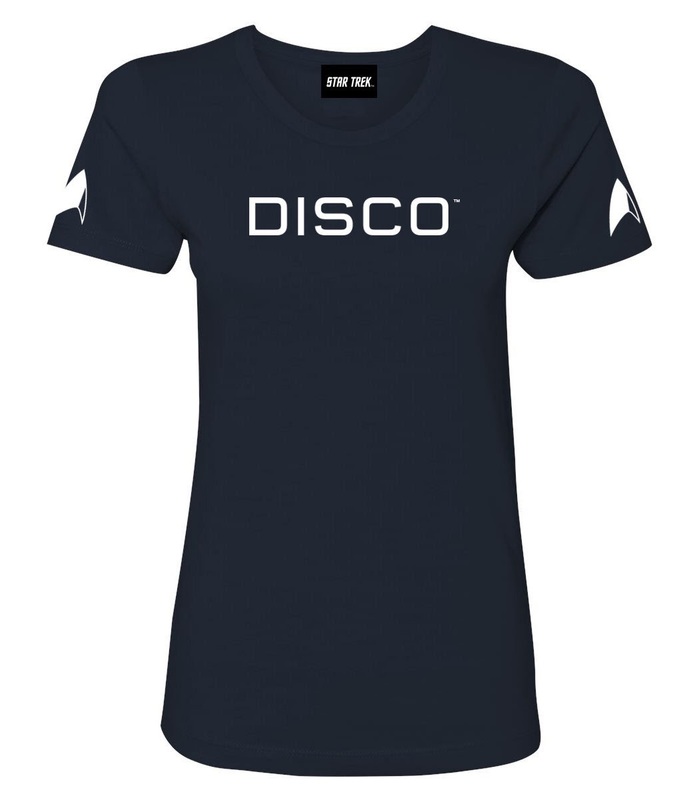 Continue below to check out all the latest. 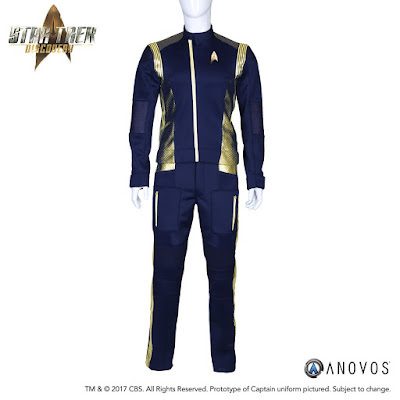 At the more formal end of the Discovery uniform spectrum, Anovos have added Captain's variants to their range from the series. Like the previously announced officer uniforms, these are available in female and male versions, but of course this time only in the command colour option. The highly detailed replicas are available to pre-order now, for expected delivery next summer. 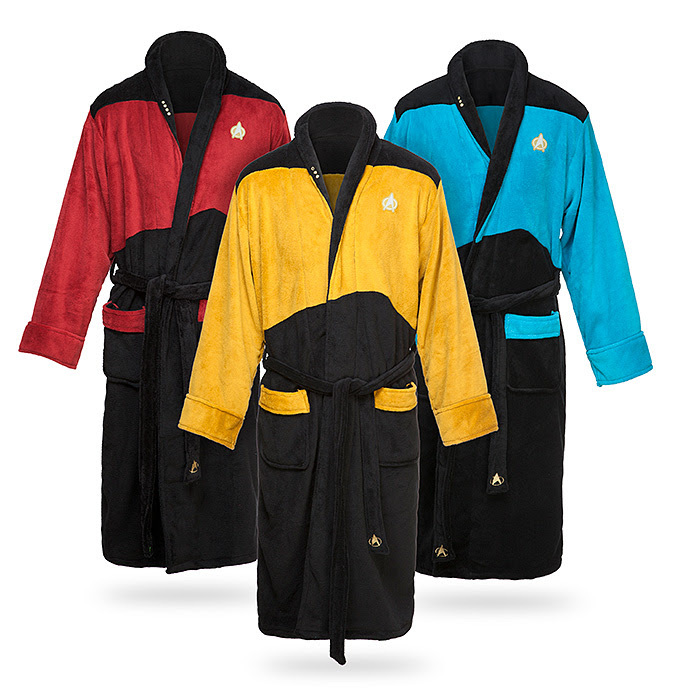 Finally, for inhabitants of the 24th century, ThinkGeek have a new range of TNG uniform style robes, available in all three department colours, with rank rips and combadges built in. 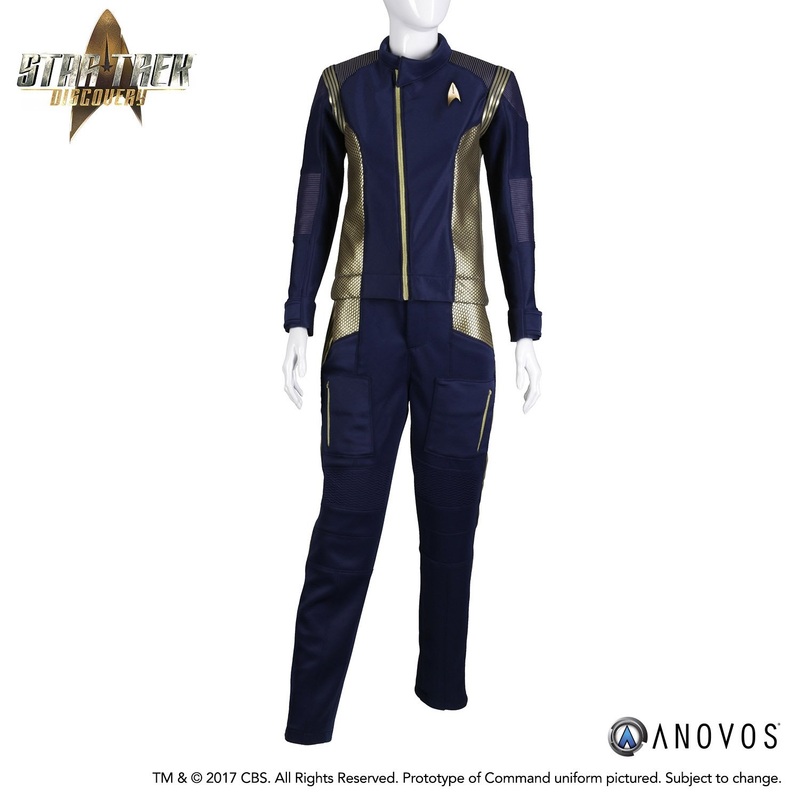 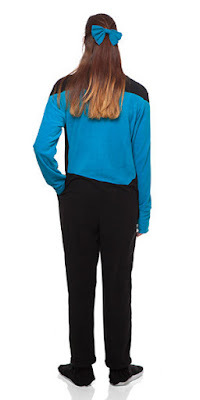 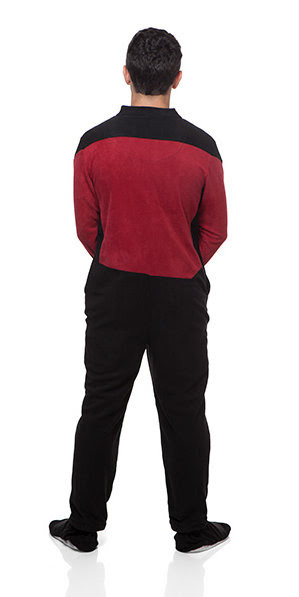 UPDATE: Continuing the relaxed TNG uniform run, ThinkGeek have just added two new onesies (or loungers as they're calling them), based on Doctor Crusher and Captain Picards uniforms (are they trying to tell us something about sleeping arrangements?). 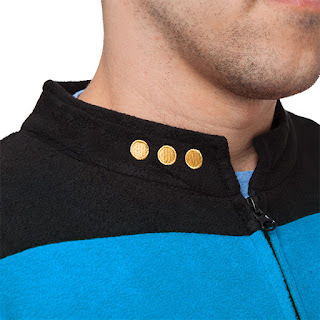 They come complete with zip-on feet, so you can full immerse yourself into the snug uniform!